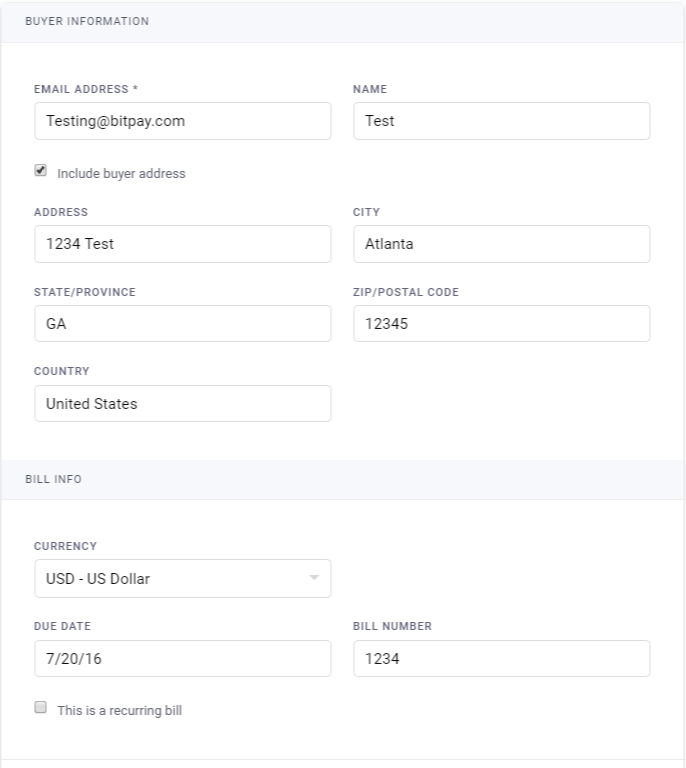 Follow these steps to get started with BitPay's billing tool. 1. Log in to the BitPay merchant dashboard at https://bitpay.com/dashboard/login/. Select "Payment Tools" > "Email Billing." 2. Click on "New Bill. 4. Under "Bill Info," enter your currency denomination, due date, bill's identification number, and schedule. 5. Enter an item description and the price and quantity of the good or service being invoiced. 6. Click "Send Bill"to generate your invoice and send it to your customer via email.